Up for consideration is Splendor, a beautiful gown pattern designed to fit 21" Cissy fashion dolls. 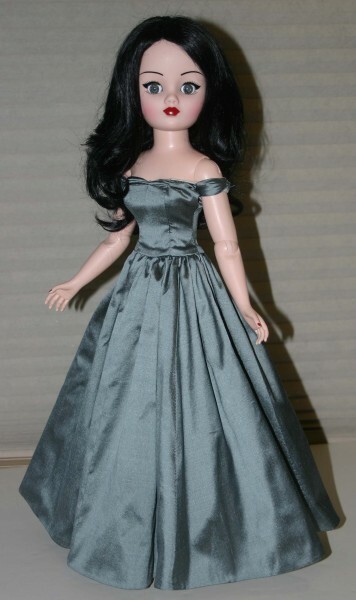 The pattern features a floor length gown fitted through the torso. 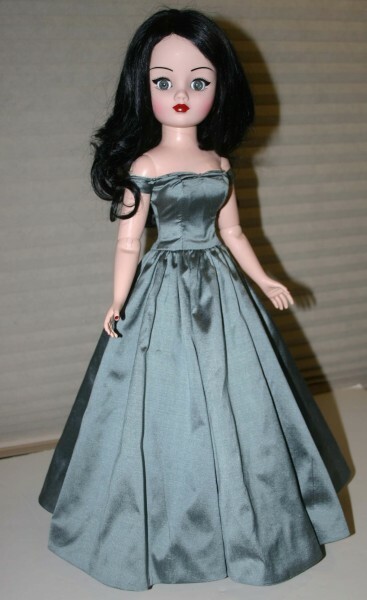 The bodice has off the shoulder sleeves with gathers along the bust edge. 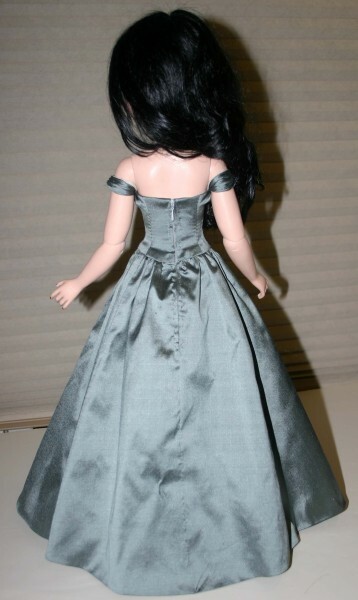 The dress is fully lined and has a zipper back closure. 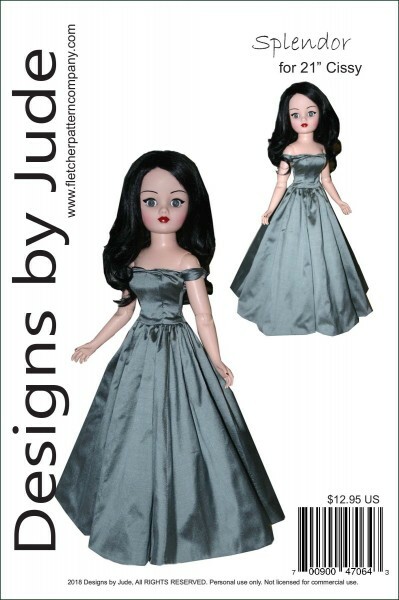 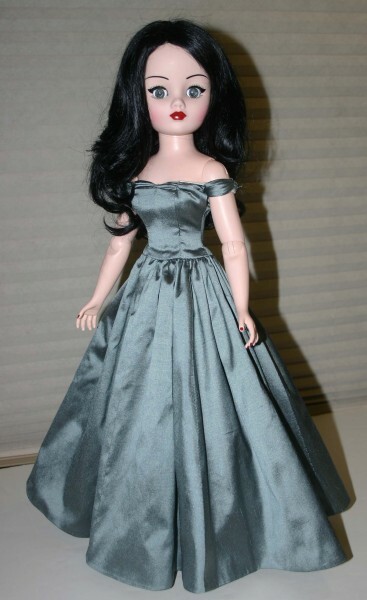 This design is also available for Tyler, DeeAnna Denton, Iplehouse and several other fashion dolls. The PDF version of this pattern prints on A4 and on 8 1/2 x 14 legal size paper.